Here is the Oca growing after just a couple of weeks in the pots. They are probably a little squeezed at the moment but I’m not sure whether I will plant them into the garden somewhere or leave them in pots due to their tendency to spread. 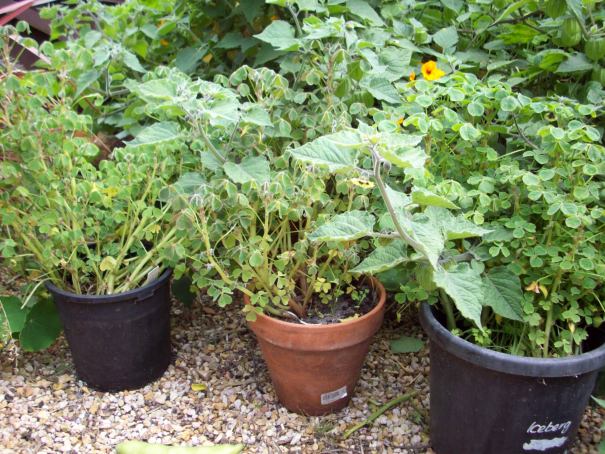 The benefits of the pots are that I can move them around until I find a spot that they like, which at the moment is partly shaded by the Cape Gooseberry. They fold their leaves up in the heat of the day.